Product prices and availability are accurate as of 2019-04-08 06:47:20 EDT and are subject to change. Any price and availability information displayed on http://www.amazon.com/ at the time of purchase will apply to the purchase of this product. Features: 3 pole 4No, 660V rated insulation voltage, 110V rated coil voltage, 50/60Hz frequency, 35 mm standard din rail installation. 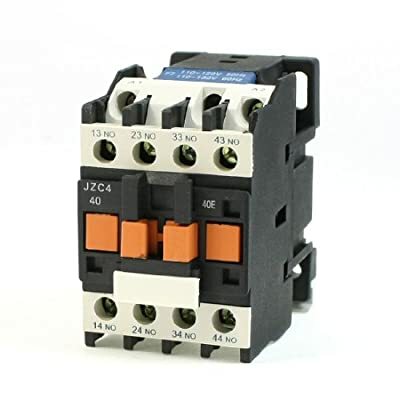 The jzc4-40 AC contactor series are use for long-distance connecting and breaking circuit, frequent start and control AC electric Motors.